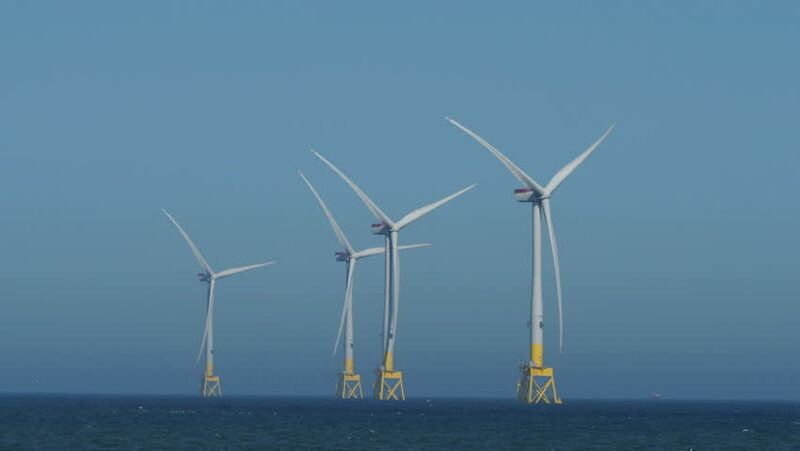 Part of the Aberdeen Bay Wind Farm, an offshore wind farm of 11 turbines located in the North Sea near Aberdeen, Scotland. hd00:20Wind turbines on top of a hill in New Mexico. 4k00:24Side shot of wind turbines and power lines in a beautiful sunset.